HomeArtistsDamien HirstDamien Hirst – Psalm: Usque quo, Domine? 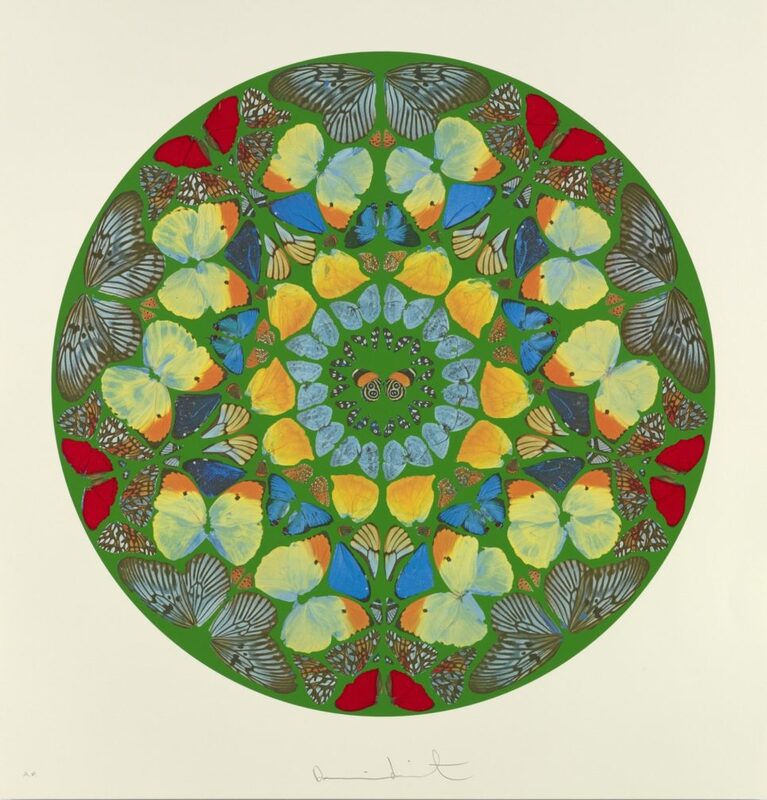 Damien Hirst, Psalm: Usque quo, Domine? 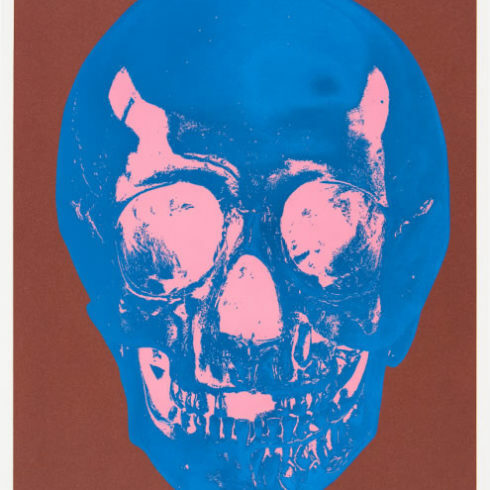 is a screenprint in colors with glaze. 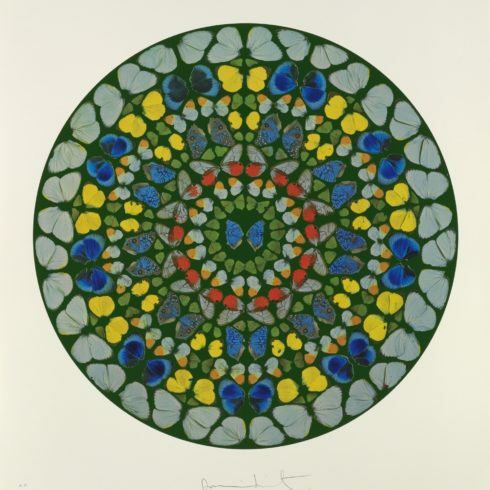 This print is signed in the bottom-center of the page. 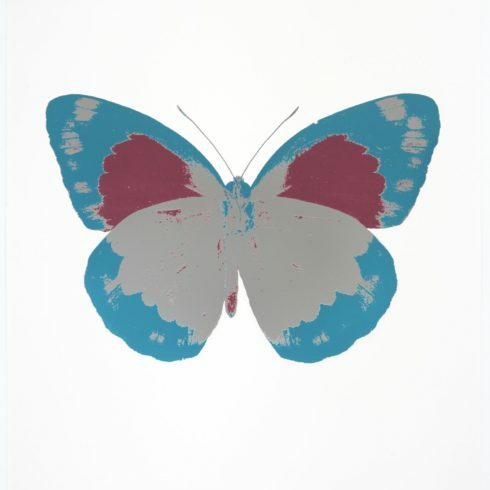 This print is numbered from the edition of 25. 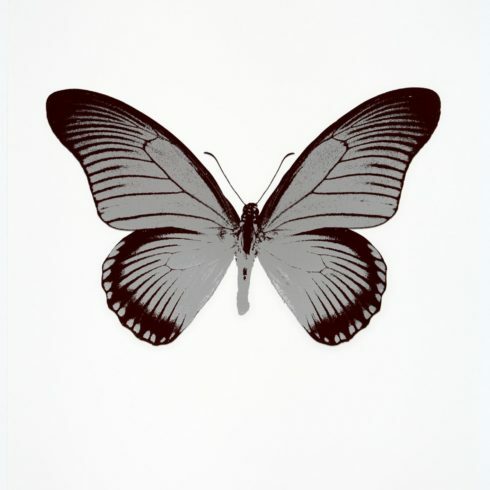 Hirst began using butterflies in his work as early as 1989. 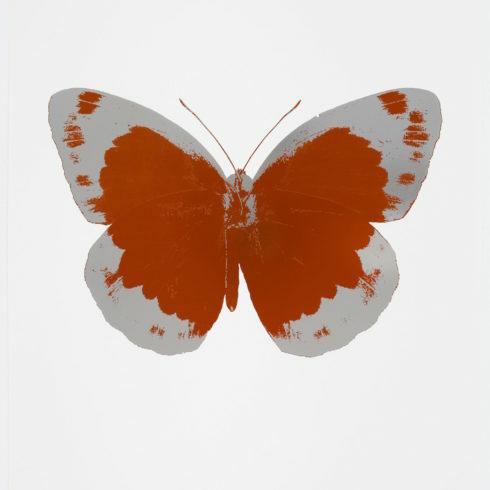 Describing the insect as a ‘universal trigger’, he has explained: “Everyone’s frightened of glass, everyone’s frightened of sharks, everyone loves butterflies.” The ‘Cathedrals’ are part of the ‘Kaleidoscope’ series, conceived by the artist in 2001 after he found a Victorian tea tray decorated with intricate patterns of butterfly wings. 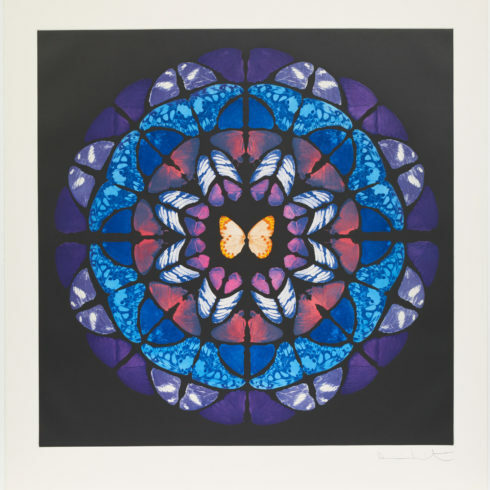 The works reference the spiritual symbolism of the butterfly, used by the Greeks to depict Psyche, the soul, and in Christian imagery to signify the resurrection. 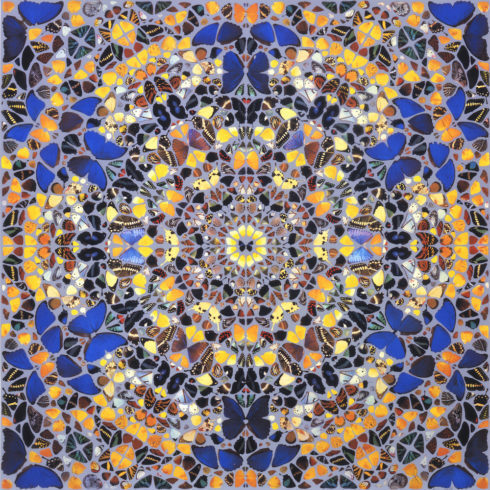 The perfect symmetry alludes to both the displays of light, color and beauty as presented in Gothic stained glass windows and the circular patterns of Buddhist mandalas. 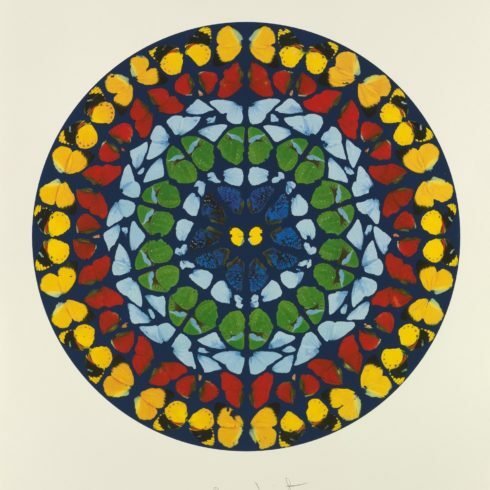 The paintings, which are rendered on uniformly-sized circular, square or diamond-shaped canvases, might variously be interpreted as explorations into the nature of beauty, religion, death and the fragility of life.